helloooo, mountains — ...and we're off! after pretty much eating our way through the south and spending over a week in hot, humid weather, we hopped in the car and began the two-day drive to boulder. 200 miles northwest of austin, we hit 10,000 miles - a big road trip milestone! woohoo! the rest of our route through texas and new mexico was a mix of dry rocky terrain, flatlands dotted with ranches, and short green grass. as soon as we spotted the mountains, we knew we’d made it to colorado! the temperature also dropped almost 50 degrees, which was a welcome change for us. alex’s aunt’s sister clare was kind enough to let us spend the weekend at her place. exhausted from all the driving, we had a nice home-cooked meal on friday and went to bed relatively early. the next day, alex and i drove up to rocky mountain national park and did a beautiful hike around the nymph, dream, and emerald lakes. we also tried to check out trail ridge, but unfortunately the weather was a little too stormy to make the winding, mountainous drive. 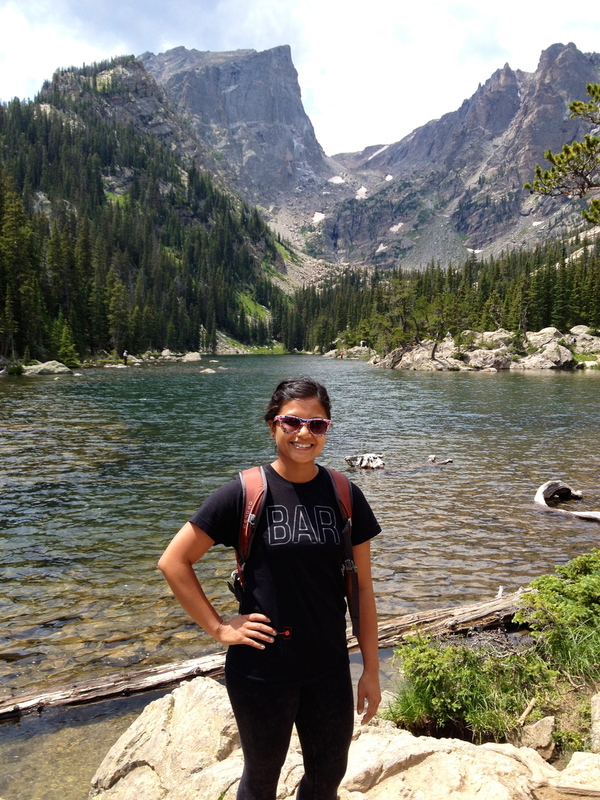 since she had the next day off, clare suggested we get up early and hike to isabelle lake in the indian peaks wilderness. we were up and out of the house by 6:30am, our packs full of fruit, sandwiches, water, and warm layers. 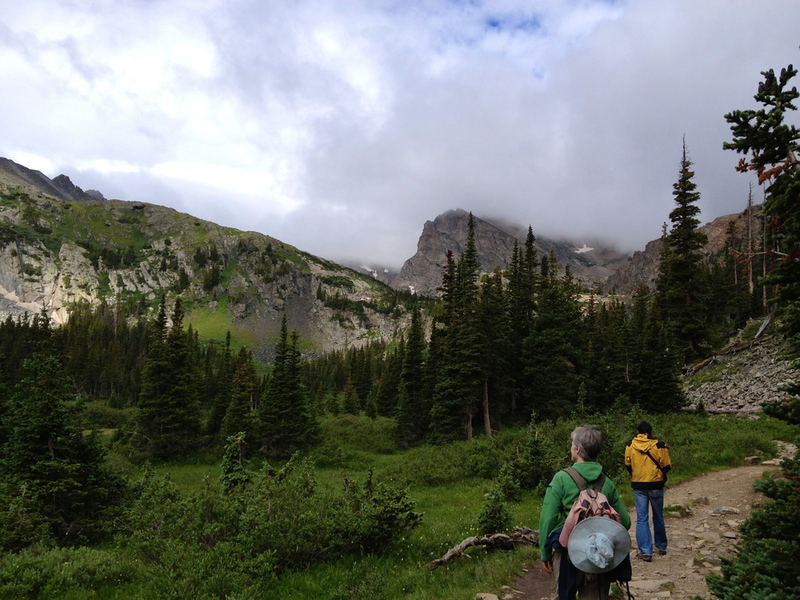 the high altitude was definitely something we noticed – the trailhead was 10,500 ft above sea level, and it was noticeably harder to breathe as we went about our hike. it was very well worth it though because the views were unreal. colorful wildflowers, glaciers, and sharp, jagged mountain ridges framed this beautiful lake, which had been recently drained a bit to help local farmers water their crops. not only did we see a lone moose far away in the valley, we also spotted four gigantic ones 25 feet away from our car as we were driving back. we parked and took a few pictures – it was unbelievable how massive they were! in the light rain, one suddenly shook his body like a dog. imagine all the water droplets flying off 1,400 pounds of moose. it was a spectacular day for the cuteness passport! that afternoon, we set off for wyoming. we made it to jackson hole by lunchtime the next day and got our first glimpse of the tetons. we were stunned by how sharply they rose from the ground – they were absolutely breathtaking. during this time of year, you can almost certainly expect thunderstorms to roll in, and we were lucky enough to drive past the storm to the north end of the park and set up camp at colter bay. after a cozy dinner at signal mountain lodge and some amazing photo-ops on the way back, we headed back to our tent and got a nice fire going. i was a bit nervous since this was our first time camping in grizzly territory, but alex insisted we probably didn’t need bear spray for our hike the next day. he had a change of heart the next morning though, and decided that it maybe wasn’t the worst idea to have it…even if it did end up being a waste of $45. my thoughts exactly! 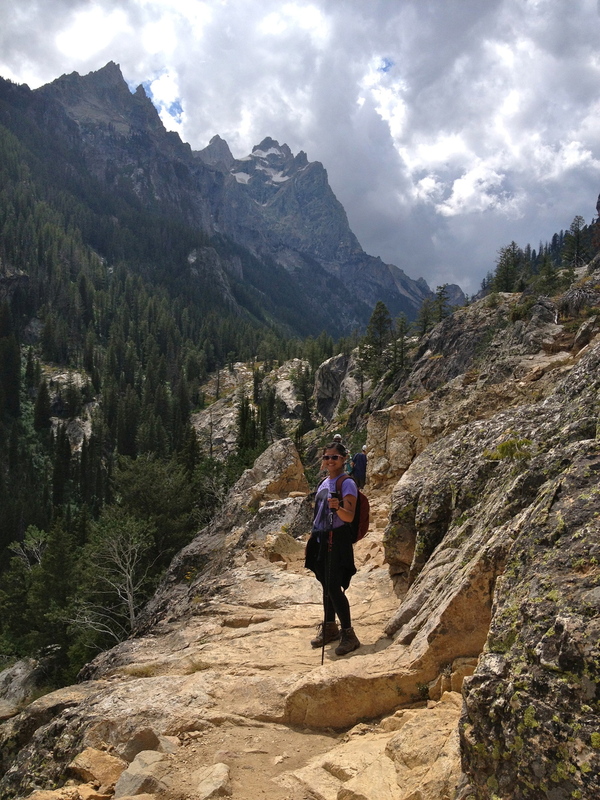 we drove to jenny lake, took the boat across, and began our 9-mile hike round-trip through cascade canyon. we stopped at inspiration point and got fantastic views of jenny lake and the eastern horizon. the weather was great for hiking - sunny and warm, even a bit hot at times – but we planned to finish by 2pm to avoid getting caught in the inevitable afternoon storm. bear, moose, and deer droppings were scattered all along the trail, a hint that we never alone. just as we reached the turning point, a pretty doe pranced onto the trail and began snacking on some leaves less than five feet away. aside from her, another deer friend, and a marmot, we didn’t see any other wildlife, and we finished our hike with our can of bear spray still intact. the next morning we rented a canoe and paddled around jackson lake. it was beautiful outside, and as we glided along the shore we saw a bald eagle capture a fish and land nearby to feast. alex got some great pictures with his zoom lens, and we were treated to more sightings further along when a family of deer came out and began to nibble the bushes on the rocky beach. they were so cute! i was a bit bummed that we hadn’t seen any bears, especially from the comfort and safety of our canoe, but then again, it probably was for the best. we left our pretty campsite and began the drive north through yellowstone national park. we rented bikes and explored the different hot springs and geysers - including old faithful, which was just as impressive as ever. we also saw the morning glory pool, an incredible mix of blues, greens, and oranges swirled together in a steaming pool of smelly-ness. it was epic. 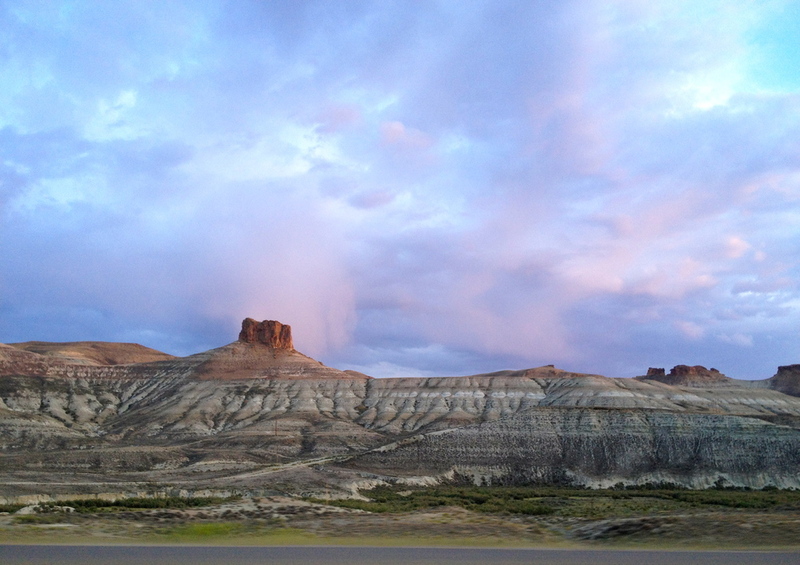 we continued driving through the majestic scenery and saw a large group of pronghorns gathered by the sunset. 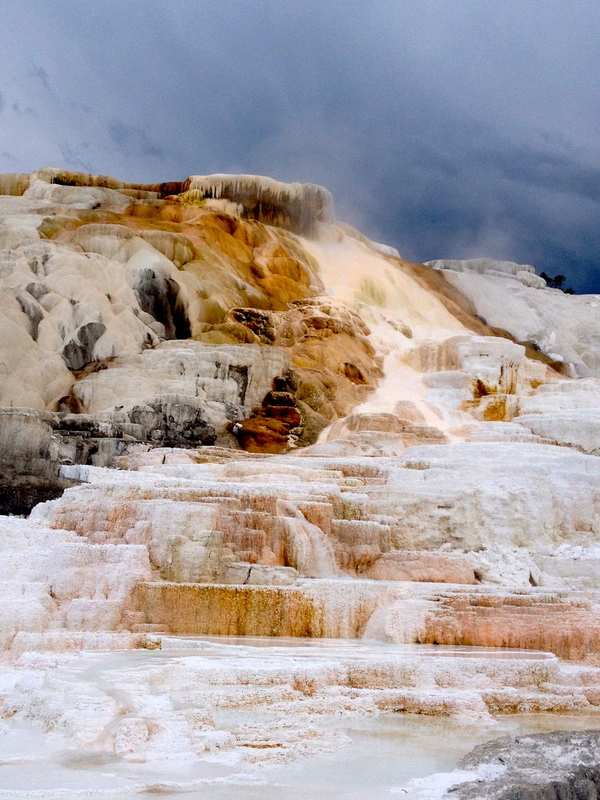 our final stop was at the mammoth hot springs, which was equally magnificent, and equally smelly. alex and i marveled at how everything looked a little fake, like a well-done plaster rendition of the real thing. yet the amazing truth was that it was all very, very real…one of mother nature’s works of art. it was beginning to get dark and we were hoping to camp again, but unfortunately the campgrounds were full and the weather just wasn’t on our side. as soon as we crossed the state border the rain began to fall, and streaks of lightning danced around us. 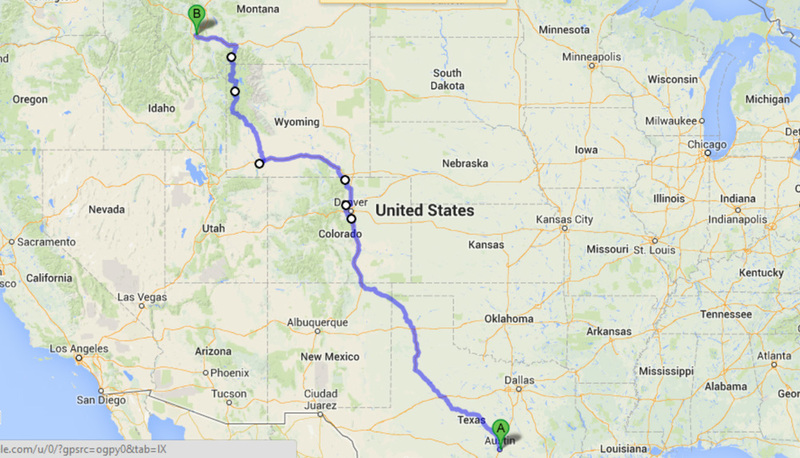 we decided to push on for a couple more hours and make a run for butte, montana.